How do I protect my Windows XP after they stop sending updates? - Ask Leo! How do I protect my Windows XP after they stop updating it? I’m getting lots of variations on this question, as the day is fast approaching. To be clear, XP will keep on running, but any vulnerabilities that are found in it after the cut-off date will simply not be fixed. It’s kind of like your old ’57 Chevy that still runs great but for which you just can’t get any parts; not to mention leaded gas. You could drive it until it breaks, but then what? So my knee-jerk response is to recommend that you update to something later. Windows 7 or Windows 8. Trust me, Windows 8 just isn’t that bad. But I know that’s just not a viable solution for everyone. So let’s look at what it means to stay with XP. There’s nothing really new or special that you’re going to need to do to keep XP safe: just things that you should already be doing. Keep your security software up to date. Make sure you’re behind a firewall; be it a router or a software firewall. 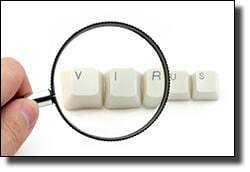 Install anti-virus and anti-spyware tools; make sure that those are up to date. Basically, use the internet safely particularly when you’re running Windows XP. It’s nothing new, but it will be more important to keep all that in place. Of course, if your security software vendors stop supporting XP, you’re going to need to find another right away. Microsoft just announced that Microsoft Security Essentials will keep working well over a year past XP’s end-of-support date. That’s good news, but it does mean that when that additional year is up you’ll need to find a replacement for MSE. That’s true for any security package you run. As long as it keeps supporting Windows XP, you can keep running it. But the moment that it doesn’t, you need to make sure to find an alternative. I think that, over time, vendors are slowly going to hop off the XP bandwagon. The ultimate risk of staying on with Windows XP is simply this: A vulnerability will be discovered that will not be fixed, and malware will arrive that exploits that vulnerability. You’ll then be relying on only your anti-malware tools – and your own common sense – to protect you for as long as you continue to use XP. Contrast that with the way things normally work. We tend to focus on our anti-malware tools; but you’re really only relying on anti-malware tools as a first line of defense until a specific vulnerability is fixed. If malware gets to your machine after Windows has fixed the vulnerability that it was designed to exploit, it’s not going to infect you. So the combination of both staying up to date (to get the vulnerability fixes) and running good anti-malware tools (to block any attempts to exploit the vulnerability) makes a lot of sense in general. The problem, of course, is that with Windows XP, staying up to date will no longer be an option after the cut-off date – those patches to remove vulnerabilities will no longer be provided, leaving your anti-malware tools as your only defense. What’s an exploit? - Industry experts use the term "exploit" in several ways, which makes warning messages pretty unclear. Stay safe by assuming the worst. « Previous post: Is application-provided encryption secure? There’s a January 16, 2014 article at PCMag.com entitled, “What Happens to Your Antivirus When Windows XP Is Dead?” The article provides detail about what many antivirus vendors said about continued support of XP after April 8, 2014 (for example, Norton was non-committal). The article also offers advice about staying safe after the death of XP (such as stop using the no-longer supported Internet Explorer in XP and use Chrome or Firefox instead, and switch away from Outlook Express as well). Microsoft has just announced that they will support MSE for XP till 2015. After Win XP updates by MS expire, could a third party business security updates for the large Win XP market… like when IT entrepreneurs begin a new anti-virus business? Realistic or cost prohibitive? That might be theoretically possible, but I highly doubt MS will release the source code. Among other things, it would slow down sales of their current OS. Even if they were willing to release the source code, I don’t see a working business model, as people would have to pay more for support than it would cost to get the latest version of Windows. With a 10-yr old XP laptop and a 5-year old XP netbook, both of which still function well but impractical for a move up the Windows scale, I left the Windows world and loaded both with Ubuntu Linux 12.04. Relatively painless though I’m still accommodating to the new environment. Security was the driver for me. Primary desktop runs Vista, which I’m content with despite the many detractors. It’s suited my needs and I’ve not had any reliability problems. One thing I plan to do is go through my programs and where an option to auto-update has been selected I shall deselect. I shall probably allow notifications so that I can check on the program web-site. As an “Old Marine,” I have a problem with new things. I too have have looked into Linus Ubuntu; I HATE CHANGE I guess that is why I turn “81” this coming Saturday, 25 January 2014. Question; How many anti-virus or firewalls can you put on a machine, Optiplex 745? I currently run vipre and Malwarebytes plus what came with the original XP package, now and since it first came out, SP3. I may just go with a Dell laptop, used or referbished, preloaded with MS7? – COMMENTS?? I have learned that changes in computers are not really as drastic as they first look when using a new operating system. Year’s ago my older brother taught me to read the manuals when I got new equipment. These days all you need are a few minutes on a forum, or Microsoft knowledge base, and you are off and running. So I say go right to Windows 8, spend a few minutes reading how to use it – and you’ll be off and running. You can consider operating XP in a sandbox. There are several freeware solutions for that. I use Toolwiz Timefreeze, but there are more Apps. Things you need to save should be stored on a separate drive. Since the NSA leaks it’s not an option for me to upgrade to another windows platform, as one can’t trust Microsoft anymore. Just got a bad feeling about companies building backdoors in their operating systems and / or software and / or services for others to spy on end-users. You say you can’t trust Microsoft after hearing the NSA leaks. I’m not going to argue about whether MS is building back doors for the NSA, but the unpatched vulnerabilities that will turn up in XP will be back doors which hackers much less adept than the NSA will be able to exploit. Personally, I’d prefer to take my chances with the NSA than the thousands of hackers who really are interested in what’s on my computer such as my bank info, my passwords as I type them in etc. I use RollBack XP. You should check it out. It is a freeware as well. Does about the same thing as Toolwiz TimeFreeze but gives more options especially takes out the need to save data on a separate drive. Good one on the NSA. Alas, it is not only on Microsoft. It is everywhere. All the social network applications and such also have these backdoors. Upgrading from XP is not so victim free as you might think. I have used Audacity for years and it worked fine on XP. I have broken my head trying to get it to work on Win 7 and have now given up after burning out a sound section on my Win 7 laptop motherboard. Win 7 is an audio NIGHTMARE! I bought a used computer to run XP and Audacity. I am terrified of learning that Win 8 is just as bad as Win 7. Does anyone know for sure? And please don’t waste time telling me that there is nothing wrong with Win 7. Check the support page for Audacity if you have any doubts. The audio system was, indeed, completely reworked after Windows XP, for a variety of reasons. That being said, I have used Audacity regularly for years, and continue to do so with no problems in Windows 7 and 8 and 8.1 (and even Mac OS 🙂 ). I don’t so much mind learning a new OS. I’ve been through Sinclair, Commodore, 4 Apples and Windows from 3.x. It’s just that I have a 2 perfectly functioning computers (Dell XP desktop and Compaq Windows 7 Laptop) that do NOT have the capacity to handle Windows 8. So a new OS means buying new computers and junking(?) 2 perfectly good machines. Windows 8 just doesn’t cut it when it comes to gaming. If you go to Microsoft’s website there are tons of games that will not play on Windows 8. If your a gamer move to SteamOS linux and support people who actually listen to what the public wants instead of dictating what they think we need. Vista was a failure and Windows 7 as many of you have found out takes hours and hours to install and complete all the updates and is now completely slow and bloated and Windows 8 will follow. Spot on answer Loe! Some of us have Windows XP running because of some of the software that can only be run on Windows XP. We could definitely protect our Windows XP machines by adding layers of protection. This does not necessarily mean you have to spend more money. With good discretion- there are freewares that can protect your Windows XP machine. For instance, I use free Avast AV and Malwarebytes for anti-malware. Along with that- I use RollBack Rx. This new freeware allows you to go back right before your system crashed or got infected even if it is not bootable. This saves me a lot of time and expenses when it comes to recovering. I am definitely going to be using Windows XP for at least a couple of years.